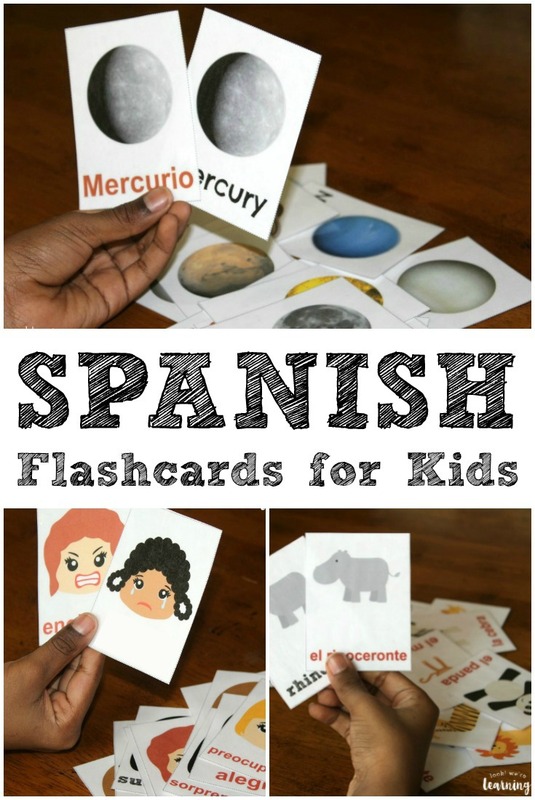 Printable Spanish Flashcards - Look! We're Learning! We’ve been teaching Spanish to our kids for some time and we wanted to share some of our printable Spanish flashcards with you! Each flashcard set includes phrases in English and Spanish, as well as a Spanish pronunciation guide. Using Spanish flashcards can be such a great help for improving foreign language skills. 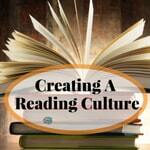 You can use them for vocabulary practice, drills, memorization, and more! Plus, they’re just plain fun for kids. Check back to see our newest printable Spanish flashcard products as they’re added! And, if you have any suggestions for Spanish flashcard topics, drop me an email at selena@lookwerelearning.com. I’d love to hear from you! This page contains affiliate links. See our Disclosure Policy for details. A simple way to use these is to make up a matching game. 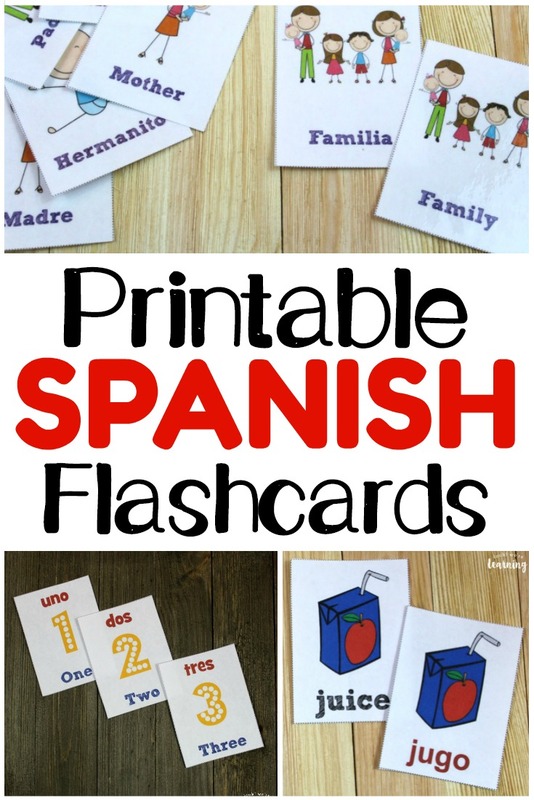 Let the kids practice matching up the printable Spanish flashcards with the English terms (which are included) and see how many pairs they can make! Or if you want to test their auditory skills, use the included pronunciation guides to read each vocabulary word aloud. Then challenge the kids to spot the Spanish vocabulary word you’re saying. See who can spot the most correct vocabulary words first! Spanish Days of the Week Flashcards – Learn how to say los dias de semana in Spanish! 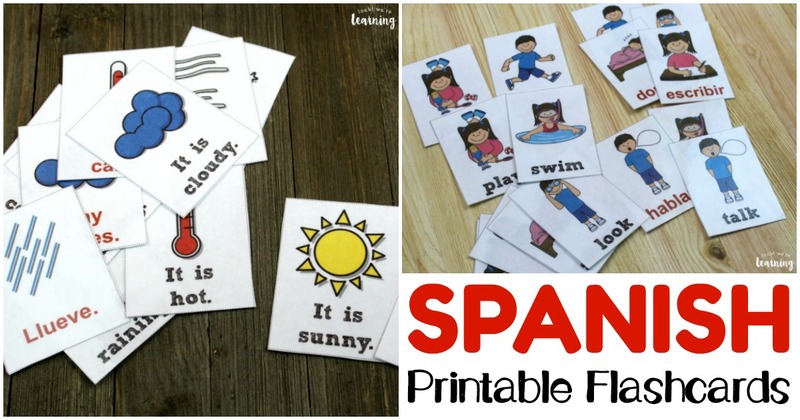 Printable Spanish Weather Flashcards – Teach children to talk about the weather! 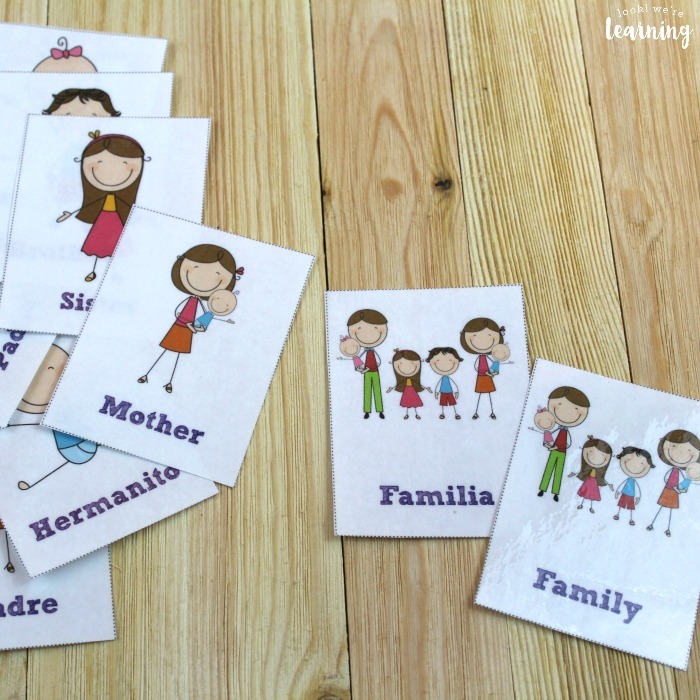 Spanish Family Flashcards – Help kids learn how to identify members of their family in Spanish! Spanish Ser and Estar Flashcards – Confused about when to use ser and when to use estar? This pack can help! Spanish Food Vocabulary Flashcards – These flashcards include Spanish terms for common food words. Spanish Opposite Word Flashcards – Learn how to talk about opposites! 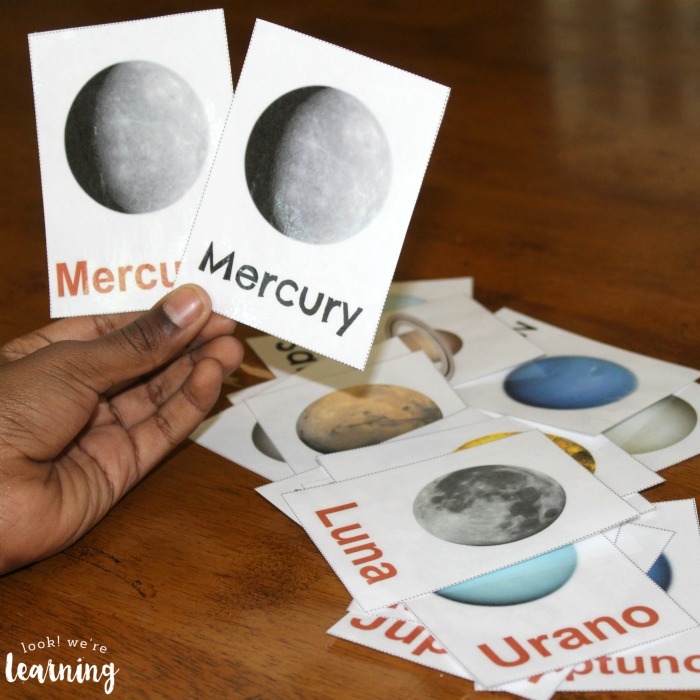 Spanish Solar System Flashcards – Name the planets of our solar system in Spanish! English and Spanish Season Flashcards – Teach children how to say the seasons in both languages! Spanish Months of the Year Flashcards – Practice naming the months of the year! Spanish Community Word Flashcards – Identify common places in your community in Spanish! 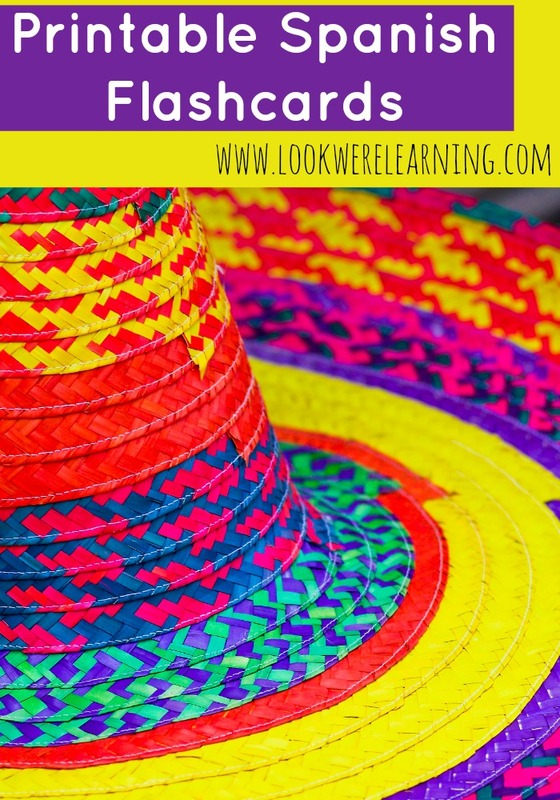 Spanish Clothing Word Flashcards – Learn how to talk about clothes in Spanish! 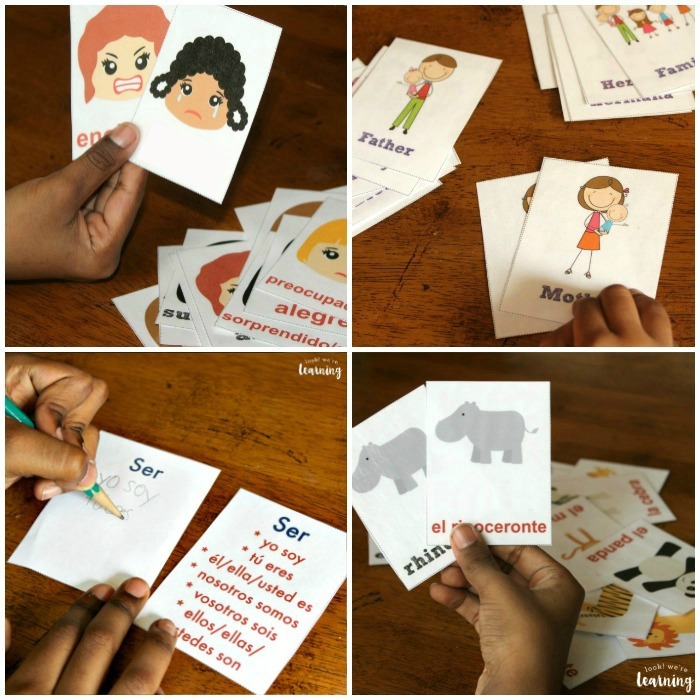 English to Spanish Feelings Flashcards – Teach children to identify their emotions in both English and Spanish! 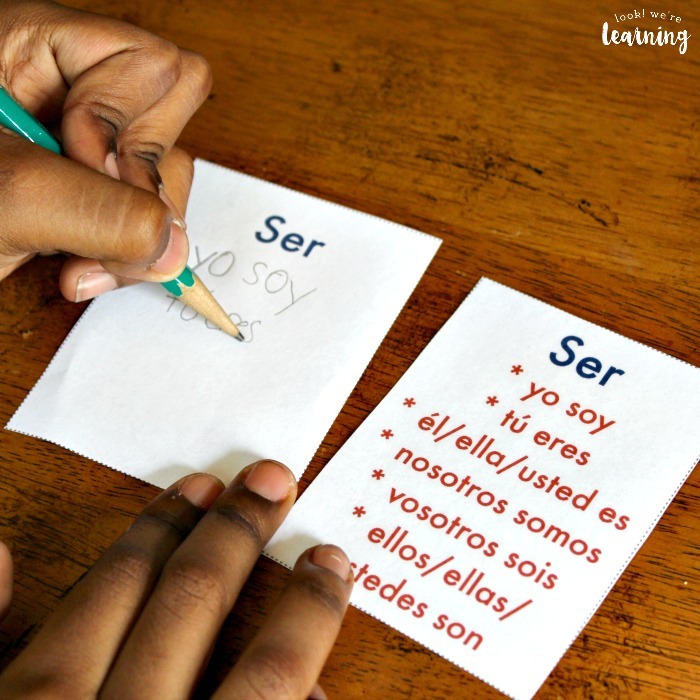 Spanish Verb Flashcards – Introduce kids to basic verbs in both English and Spanish! Spanish Color Flashcards – These color flashcards in Spanish are awesome for kids who are learning about colors! Spanish Zoo Animal Flashcards – Planning a trip to the zoo? Make it into a foreign language lesson with these printable Spanish zoo animal flashcards! Spanish Alphabet Flashcards – Practice reciting the Spanish alphabet – all 27 of them! Spanish Winter Animal Flashcards – Learn to identify basic winter animals in Spanish! 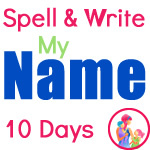 Spanish Number 1-10 Flashcards – Kids can count from 1 to 10 in Spanish with these cards! Spanish Parts of the Body Flashcards – Kids can identify basic body parts using Spanish phrases. Spanish Community Helper Flashcards – This printable pack includes a set of Spanish flashcards for learning about community helpers! 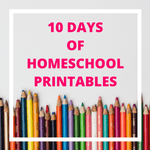 We’ve got even more printable flashcards, including packs for toddlers, preschoolers, and elementary students! 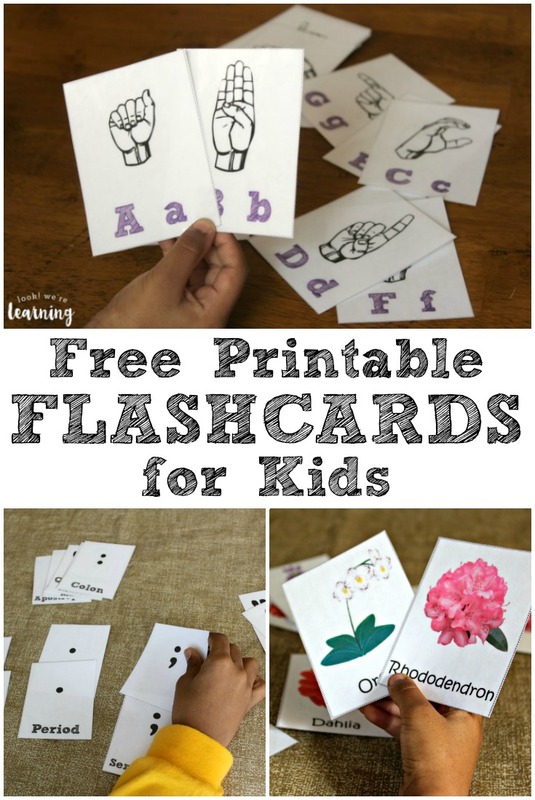 Check out our collection of Free Printable Flashcards below! Want even more Spanish learning resources? 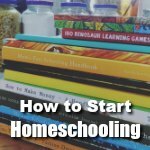 Follow my Foreign Language for Homeschoolers board on Pinterest! 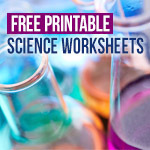 Plus, get free exclusive learning printables when you sign up for our email newsletter! 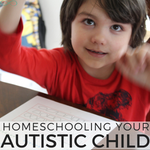 This list of resources is part of the Tips for Homeschool Moms linkup!